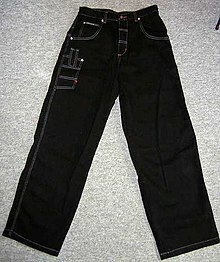 a pair of pants ズボン 1 着. Are these pants made of cotton? Then he gave me a last desperate push and I tripped over the shorts caught around my ankles and fell down. I tried to pull my pants up with my boxing gloves but without success. […] In those days nobody wore underpants and I was bare-arsed and fancy free in front of everyone. Look for pants with reinforced seats and knees and full-length side zippers that make it possible to put the pants on while you are wearing boots, crampons, skis, or snowshoes. I rolled up the legs of the pants, then I went back into the trees. The episode also opens with an inspired bit of business for Homer, who blithely refuses to acquiesce to an elderly neighbor’s utterly reasonable request that he help make the process of selling her house easier by wearing pants when he gallivants about in front of windows, throw out his impressive collection of rotting Jack-O-Lanterns from previous Halloweens and take out his garbage, as it’s attracting wildlife (cue moose かつ Northern Exposure theme song). I decided to pass up her underclothes, not from feelings of delicacy, but because I couldn't see myself putting her pants on and snapping her brassière. Big girls get candy for dry pants. As she bent over the intercom the little skirt went peek-a-boo and you could see white pants cupping her buttocks like a bra. (Britain, slang) Rubbish; something worthless. The film was a load [or pile] of pants. (Britain, slang) Of inferior quality, rubbish. Your mobile is pants — why don’t you get one like mine? 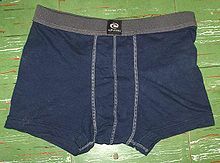 To pull someone’s pants down; to forcibly remove someone’s pants. Keith Gerber has been pantsed twice already this summer by Lannie and Cling, and so his face is more resolved, the fear tempered by the fact that he understands these things to be inevitable. [T]he other boys, Stretch Latham and Rod Becker mainly, pantsed him, got his jockey shorts away and threw them onto Hubcap Willie’s roof. Richard did not stand too close to him, because he was always trying to pants him, and he would have died of shame if he did it tonight, because he knew his BVDs were dirty at the trap door. (informal, usually pejorative) Used with adjectives ending in -y to form nicknames based on a negative quality of a person. We used to call her Miss Bossy Pants when she was a kid. You had to pull one of your stupid disappearing tricks because you were being a pouty-pants. Gee, maybe her name should be "Princess Demandy Pants". Usually the adjective must be two syllable long and end in -y, eventually with an interfix if the original adjective ends in a different sound. As with fancypants usage has not yet settled as to whether this should be separate, linked with an hyphen as a suffixoid or fused like a normal affix.